This edition of The Erzulliesta "may" be a little late (No pun intended... It is for May 2013 - 3 ) but we are here to give you all the Erzullie goodness you sure would want to know! #1 Obviously, this week is all about the Ezullie Pop Shop! 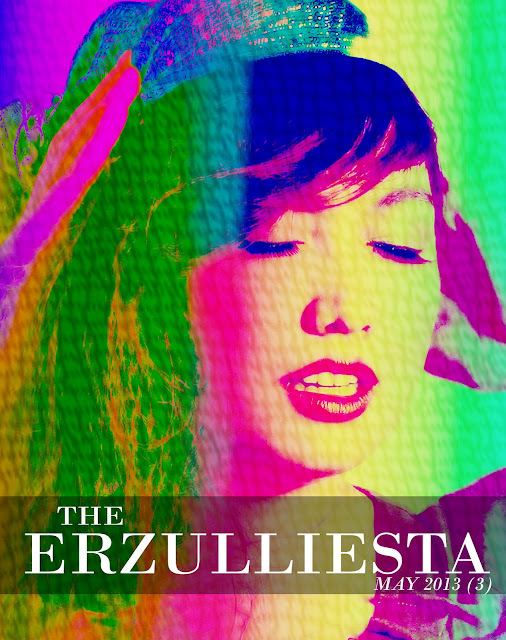 We posted some reminders and how to get there instructions to make sure Erzulliestas will get there safely. We really would like to thank all of the Erzulliestas (both old and new) that droppped by the place and supported us! Photos are yet to be posted and oh! Of course, we would like to thank Mrs. C for helping us promote the event as well as Gelleesh.com! #2 In relation to the shopping event that happened last weekend, it was only fitting to have an Erzulliesta Mantra that is about "deserving the best kind of fashion". We just thought that you girls need a reminder (just in case you forget, but we know you are sharp!) "My curves deserve the best kind of fashion." #3 Aside from celebrating, Erzullie Icon and Plus Size Model, Kat Lopez', smexy legs during fierce Friday, we also celebrated another beautiful Icon's birthday! It was Erzullie Icon and Plus Size Model, Andrea Ventosa's birthday last week. Happy birthday again, Erzulliesta! #4 Dubbed as "has been retailer" by The Fashion Law, Abercrombie & Fitch CEO, Mike Jeffries, was under fire since the start of the month because of a very old interview. Apparently, for the CEO, plus size women will never be part of the "in crowd". The plus size community, however, just wondered more about the relativity of this man's point of view. A development occurred and it is yet to be posted. #6 To also help you girls get inspired with your weekly wear, last Wednesday, we featured this cross strap, sweetheart neckline top and some style suggestions on what to pair with it. If you have this and need some style refreshment, you better read on! If this doesn't get your fashion creativity going, how about some 'plus size model' off duty look by Erzullie Icon and Plus Size Model, Khriselda Guarin or one of the biggest trend for Spring 2013: The Neutrals!